Recently I showed a time lapse video to a relative. The video showed hours of me painting, condensed into 2 minutes. His remarks were interesting. He said, “I didn’t know you turned the canvas around so much when you painted.” He was intrigued by that, and surprised at the changes that took place throughout the process. I never thought such a simple aspect of my painting process would be interesting to a viewer. He noted that seeing the video made him much more curious and appreciative of the work. This is why I think QR codes are so great. There is such terrific potential for connecting with your viewer in a very personal way, even when you are not present. You might share in-depth information about the inspiration for your work, or maybe a video of the work in progress. This can add a dimension to the viewing experience that couldn’t happen otherwise. Anyone using a smart phone with a camera and the proper application to read the code, can scan it on the spot and open the artist’s website, contact info, blog or video. From that point, the artist’s presence online is available for the visitor. The codes are being used extensively in Japan and are slowly catching on in the States. Imagine driving by a house for sale and wondering how it looks inside. Scan the little code on the “for sale” sign, and take the 365 degree tour right there on the street. Posters for the Picasso exhibit at the VA Museum of Fine Art, include a black and white image of Picasso’s face made up of QR Codes. When scanned, the codes take you immediately to the sales office with information on purchasing a ticket for the show. Seattle Art Museum used similar technology with Microsoft tags, for the same Picasso exhibit. So be ready! You might come across one of these codes one day and if you have the app on your phone, you’ll be able to access the information it’s offering. 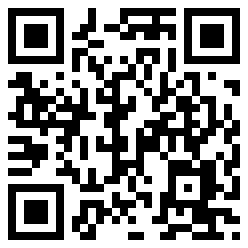 Follow this link to download your free QR Code reader. If you have an iPhone, you can get “Quickmark” from iTunes. i'm a painter and illustrator......an east coast girl living in the pacific northwest. i am also an extrovert, and this blog is one of the ways i deal with the seclusion of being in my studio all day. thanks for keeping me company! "I try to construct a picture in which shapes, spaces and colors form a unique set of relationships, independent of any subject matter. At the same time I try to capture and translate the excitement and emotion aroused by the impact with the original idea." DANIEL SMITH: Seattle Art Store Events: WORKSHOP: Creating Travel Journals in Ink and Watercolor with LISA SNOW LADY. Oct 22, 2016. 10am-4pm.